Susan Winston has been practicing law since October 2004 when she was admitted to the Florida Bar. She came to Florida from Virginia after graduating with a Bachelor of Arts degree in History from the College of William and Mary in 2001. Susan then went to the University of Miami School of Law and received her Juris Doctor in 2004. Susan began her legal career at the Office of the Public Defender for the 15th Judicial Circuit in 2004. In over six years at the Office of the Public Defender, Susan represented the indigent accused in a variety of criminal cases including felonies, misdemeanors and juvenile delinquency. As a public defender, Susan spent over a year in the Serious Crimes Division representing clients facing life in prison charged with crimes such as capital sexual battery, attempted murder with a firearm and second degree murder. Susan has represented thousands of clients, tried over 60 cases, and was a Division Chief in a felony criminal division. During her six years at the Office of the Public Defender, Susan has represented clients charged with all types of criminal cases including Domestic Battery, DUI, DUI Manslaughter, Possession of Cocaine, Burglary, firearm charges and many more. During the 2010-2011school year, Susan became a Professor of Law. She taught Courtroom Procedure and Business Law as an Adjunct Professor at Palm Beach State College. Susan also was the Head Legal Instructor at the Palm Beach Lakes High School Pre-Law Academy. Additionally, Susan serves on an advisory board, providing legal council for a nationwide healthcare firm. In June 2011, Susan became the founding partner of Winston Law, P.A. 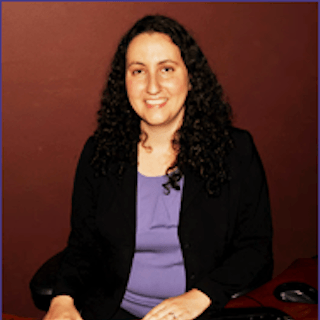 She specializes in representing clients in the areas of criminal, family and elder law. When she’s not practicing law Susan spends her time with her husband and her German Shepherd. She also enjoys pottery, tennis, yoga and spinning. Activities: Member of the Family Law, Criminal Law and Elder Law Sections.